Why set up your own limited company? For all but a small minority of contractors, operating your business through your own limited company is by far the best solution. It allows you to have complete control over the financial affairs of your business whilst being the most tax efficient trading option, so you maximise your income. As the majority of contractors are motivated to leave permanent employment to increase their earnings, the limited company is generally the most attractive. By being a director and shareholder of your own business, you have complete control over the running of your company and its bank account/financial affairs. This avoids the risks associated with handing control over to a third party such as an Umbrella company, which is the other trading option available to. What expenses can be claimed through a limited company? Is Limited Company the right choice for you? If you are only intending to be a contractor for a short period of time i.e., just a few months between permanent employers, setting up your own limited company would not be the best option for you because of the costs and administration involved in setting up and closing a company. Likewise, if you’re new to contracting and not entirely sure if you're in it for the long term, then a limited company probably isn't a good idea initially. However, if you then decide to stick with contracting, you'd almost certainly be better off switching to a limited company. If you see yourself in either of the scenarios above, you'd probably be better off using an umbrella company initially. This option allows you to be a PAYE employee, with the umbrella company contracting with your customers and being responsible for invoicing, administration, credit control and paying you a salary, less deductions for income tax and national insurance. You would simply submit your timesheet and expenses to the umbrella company and they would do the rest. However, as explained earlier, you would suffer more income tax and national insurance deductions than you would as a director/shareholder of your own company. If at a later date you decide that contracting is what you want to do long term then you can always form a limited company at that point, but in the meantime the umbrella company facilitates your one–off short term contract and your desire to test the waters of contracting, without incurring costs or unwanted administration. Some contractors, whose contracts are caught by IR35, also choose to use the services of an umbrella company because they do not qualify for the tax advantages that make the limited company route so attractive. However, if you feel that you prefer the idea of retaining control over the financial affairs of your business, or may have contracts in the future that will fall outside of IR35, there is no reason why you shouldn’t set up and operate through your own limited company from the outset. What is IR35 and how will it affect you as a Contractor? The IR35 legislation looks at your relationship with your end client and seeks to determine whether you’re truly self-employed or an employee “disguised” behind your limited company. If you are “outside IR35” (i.e. HMRC see your relationship with the end client as a supplier-customer relationship), then you will benefit from the tax advantages of a Limited Company (See the Tax Efficiency section above). Contrary to popular opinion, the vast majority of the contracts that we see are outside IR35. If you are found to be “inside IR35 (i.e. HMRC see your relationship with the end client as an employee-employer relationship), then much of the tax benefits of operating through a contractor limited company are lost, because your income from the contract will be treated as PAYE and taxed accordingly. If you find that you contract falls inside IR35 then you may wish to use the services of an umbrella company. Worried? Don’t be! Fraser Russell can help you identify whether your contract falls within IR35 or not so Contact us today to see how we can help take the stress away from contracting. As an independent contractor you will be providing your services as well as professional advice to clients. In the event that you make mistakes or errors while contracting for a client, they are perfectly within their rights to claim for negligence. For this reason many clients will insist that you have adequate insurance coverage by appropriate professional indemnity insurance before they will hire you. As the risks faced by individual contractors will depend on their area of expertise, specialist providers of independent contractors insurance coverage and professional indemnity policies can provide tailor made solutions to suit to the contractor’s particular area of expertise. Our Contractor Limited Company service includes £2 million professional indemnity insurance as part of the fixed monthly fee. Employer’s liability insurance will cover any ‘employees’ you may have working within your company for any injury sustained at work. It is a legal requirement for employers to have Employer’s liability cover if they have any employees other than themselves or members of their family. Contracting through a contractor limited company would normally only involve one employee, which would be themselves. Public liability insurance protects you against your legal liability where you accidentally cause damage or loss to someone else’s property. This form of contractor insurance also covers you for any accidental injury you cause to someone else whilst working at clients premises. However, as responsible contractor accountants, would suggest that you confirm this with your agency/client as generally most contractors are covered under the public liability of their client. So, how do I set up a Contractor Limited Company and start contracting through it? Fraser Russell have helped numerous contractors set up their limited companies so they can start working straight away. We have a dedicated team who help you at every step of the way so you fully understand your responsibilities and ensure you operate as a compliant contractor and avoid any unnecessary and often expensive penalties imposed by the HMRC. 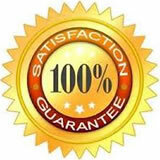 Try the Fraser Russell Contractor service “Risk Free” with our 30 day money back guarantee. If you’re looking for an accountancy firm that’s confident in the service it provides, then Fraser Russell is for you. We back up our service with the following unique guarantees to ensure our customers remain 100% satisfied. Let us take the hassle out of Contracting and get you set up today by Contacting Us or calling on 0121 _647 5030. Although based in Birmingham, West Midlands, our Subcontractor services are used by clients throughout the whole of the UK and beyond. Don’t forget to subscribe to our Newsletter for all the latest updates and please feel free to interact with us via our Social Media sites and Blog.